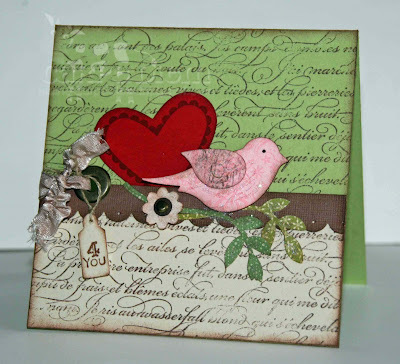 Hello... and many thanks for joining our In Love With Stamping blog hop! If you've been working your way around the 'chain' by following the blog hop links, you'll have joined me from Sandra's blog. 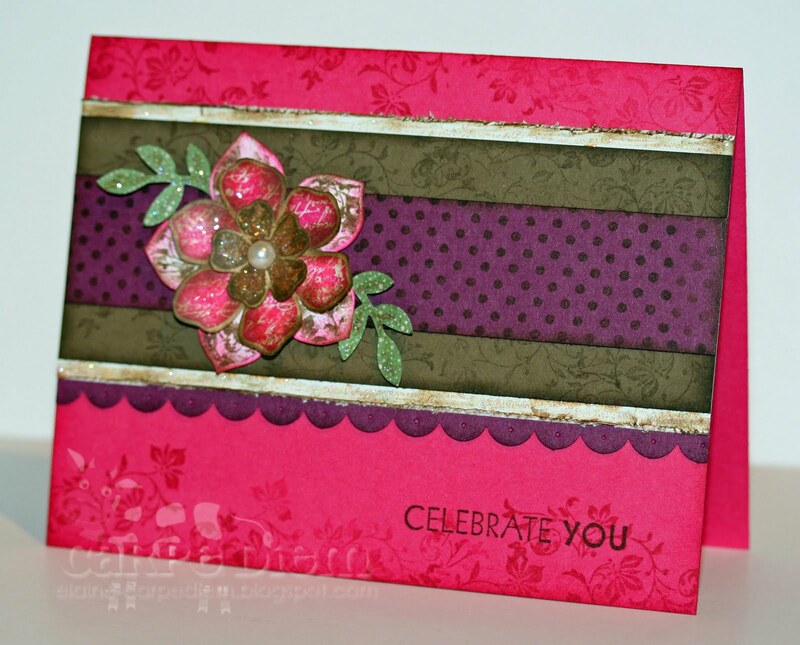 Three new Stampin' Up! colours were launched on 1st May, giving us a small preview of what's to come on 1st October when the colour families will be completely overhauled. 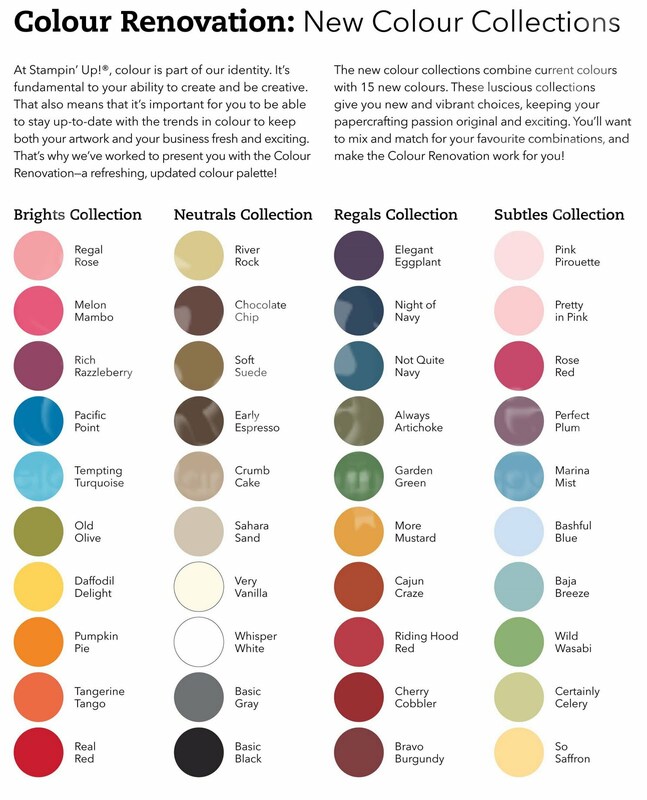 The idea of the blog hop was to showcase the three new colours: Melon Mambo, Soft Suede and Rich Razzleberry. I was hoping to find time to make something more exciting than a couple of mediocre cards... but I'm afraid time disappeared (once again), so a couple of cards it is. I'm sure the other blog entries will put mine to shame! Both of my cards were created using the Vintage Vogue stamp set and I've managed to sneak a piece of the new Cottage Wall patterned paper and some Dazzling Diamonds glitter onto each. The first card has a Melon Mambo base with some Soft Suede and Whisper White cardstock layers... and it also includes some of the brilliant new Melon Mambo dotted ribbon. For the second card, I've used a base of Rich Razzleberry with some Kraft cardstock. 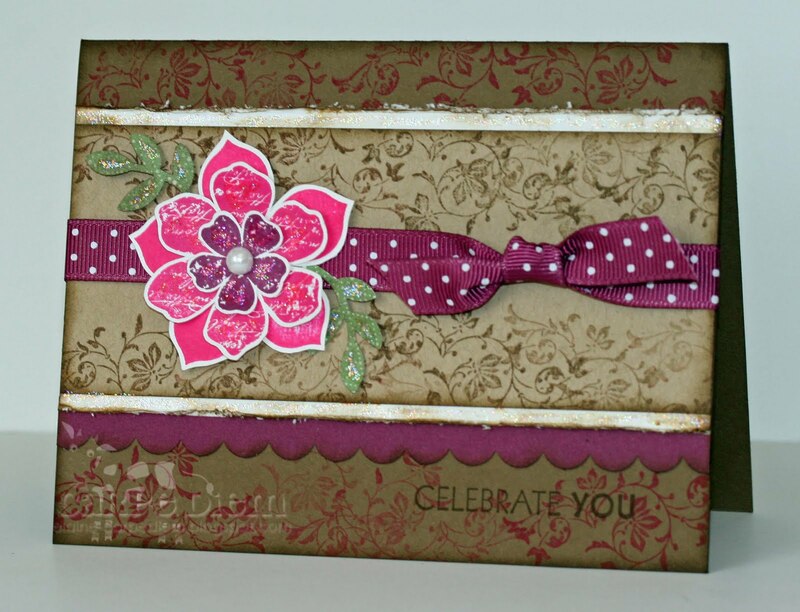 The background was created using the Bella Toile background stamp; I can't see past the SU background stamps - so versatile. Thanks for visiting my blog today... and I'm sorry my cards were so dull! :oD The next stop on the blog hop is Victoria's blog, and you can see the relevant post by clicking here. 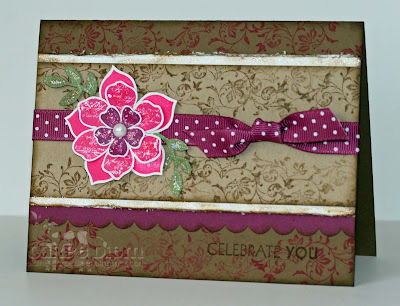 Another card made with the three new colours and the Vintage Vogue stamp set! It's very similar to the card shown in my post of 5th May. I've changed the colours around, but the layout is almost identical. It looks a bit "cluttered" in the photo, but it looks more subtle when you see it in the flesh... I've overdone it with the contrast in Photoshop! I absolutely love the new ribbon, particularly in the Rich Razzleberry colour. 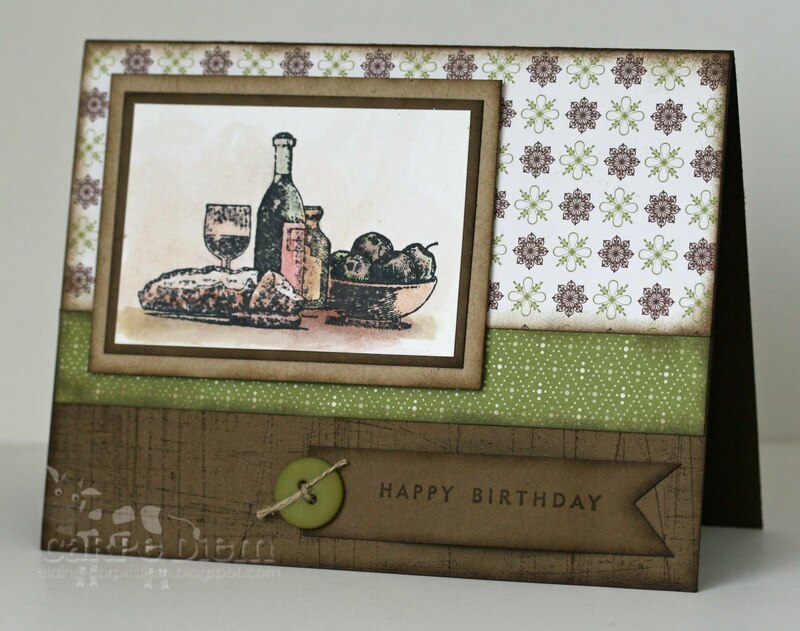 Just a quick post... A card made using the Studio Sketches Level 1 hostess set in the mini catalogue. No ribbon/glitter etc... it was made for a man in his 70s! I think it looks a bit drab in the photo, to be honest - but it looked much better in real life and I don't like to do anything too fancy with male cards. I think the patterned paper was from the Ski Slope set which was in the previous mini catalogue; it really didn't look like Christmas paper on the card! Another big delay between blog posts... Sorry. I must try to remember to post more regularly! Some exciting news, though... Stampin' Up! has released three new colours! The colours are three of the current American "In Colours": Rich Razzleberry, Soft Suede and Melon Mambo. All three will become part of the new core colour families available from 1st October. 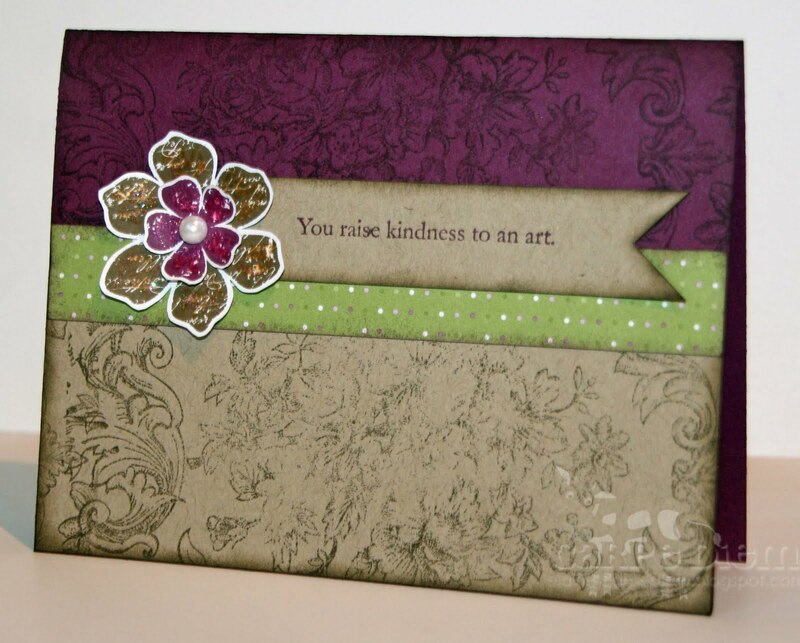 The card shown above was created using all three of the new colours and the Vintage Vogue stamp set from the mini catalogue. 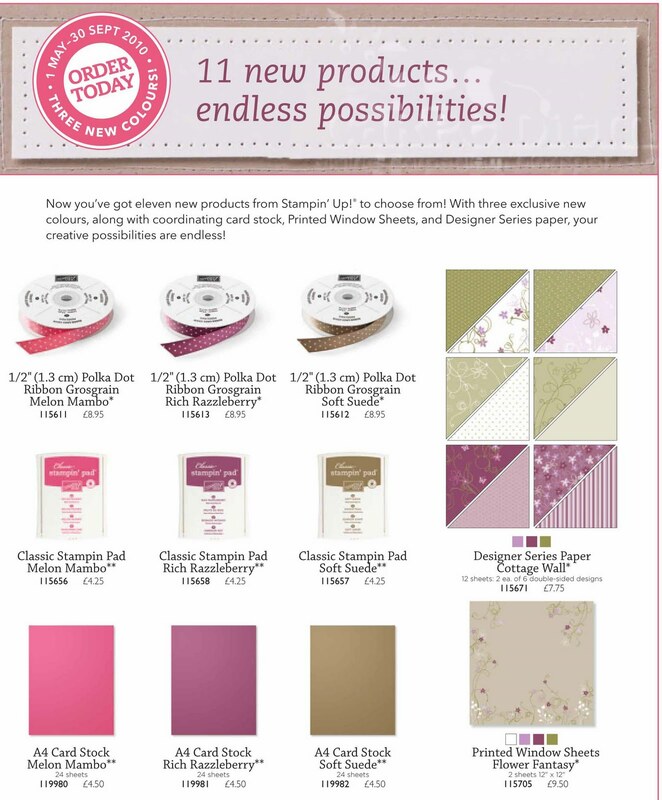 There are ink pads and packs of cardstock which will be carried over to the new annual catalogue on 1st October. In addition, there are three new rolls of matching dotted ribbon, a new pack of designer series patterned papers (Cottage Wall) and a set of acetate printed sheets, all of which will be available only whilst stocks last. A bit late in posting, but here's my Easter card! I managed to find time (just) to make two... although I had hoped to make a few more. The ribbon and bow on this one was re-tied and neatened up a bit after the event, although I don't have a photo. 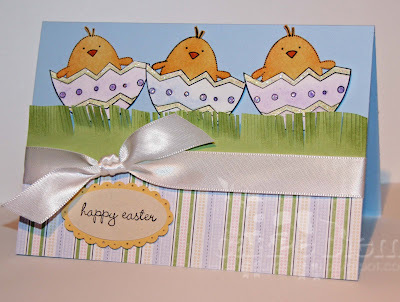 The card was completely inspired by this one on Andrea Walford's blog - cute! I enjoyed cutting out those little chicks and colouring them with watercolour crayons. There's dazzling diamonds glitter on each of the eggs, although you can't really see it in the photo. ... to those who wait! Yes... Stampin' Up! demonstrators have been told today that there will be NEW COLOURS in the new annual catalogue which will be released on 1st October! This means that not only will we be getting any new/future "In Colours" which are launched in America or elsewhere (the aim being that all markets will have identical colours), but we'll also be getting some of the In Colours which were previously made available in other markets over the last few years - and those colours will become part of new colour families. Very exciting! It has been a long wait (for me, at least), but it's brilliant news all the same! 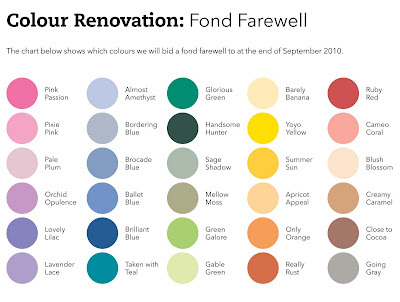 Each year there will be five new "In Colours" which will last for two years before being discontinued. This means that there will be 40 standard colours from 1st October 2010 (rather than 48, as we have at the moment) plus 5 In Colours (... and, after the first year, there will be 40 standard colours plus 10 In Colours). 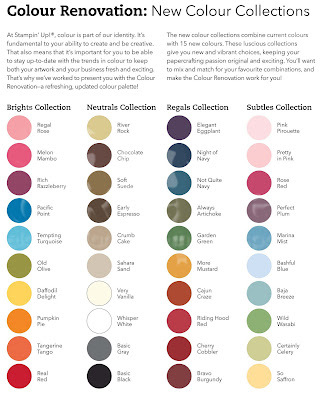 The new colour groupings are shown above and there will be four collections... Brights, Neutrals, Subtles and Regals. The existing Earth Elements group will disappear (and the other three groups have been re-named). Kraft will also be re-named as Crumb Cake. 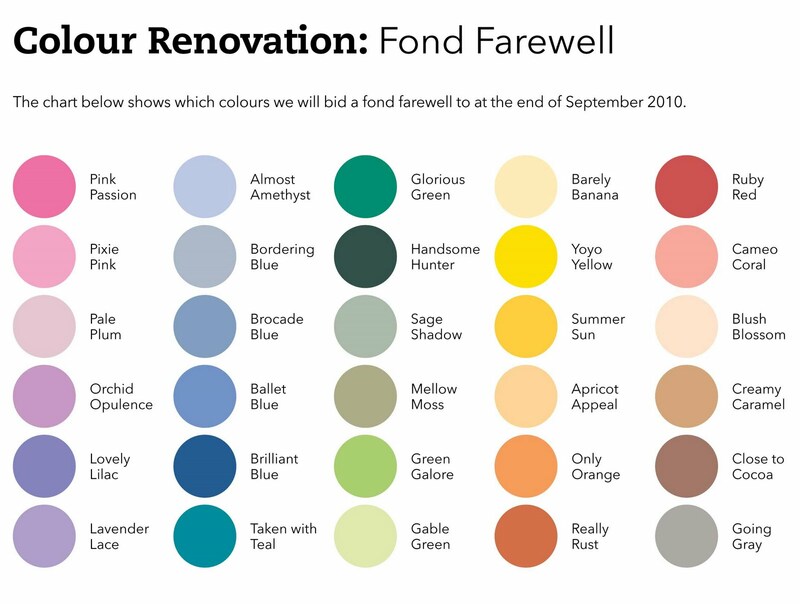 If you love any of the retiring colours, now is the time to stock up (whether on ink pads, cardstock or any of the other co-ordinating items)! Well... today's the day! The new mini catalogue has launched, effective from 1st April - 30th September 2010. Click here to view a copy online or drop me an email (by clicking here) if you would like me to post a copy to you. There are so many great things in the new catalogue, although I think I love the vintage stuff most of all, the sweet pea stamp set, wheel, papers and felt... and, of course, the bird punch... I've used it to create yet another card. 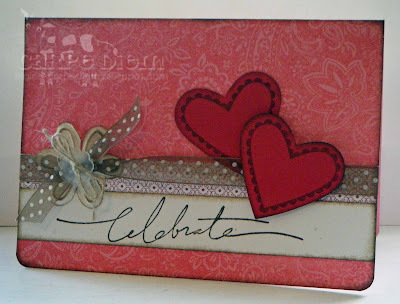 I've also used the new tag punch and matching Tiny Tags stamp set, plus the heart from the new Framed With Love stamp set. I'm getting so much use from the bird punch... a bargain at £13.50 and it's a big punch! I like the new design of the punches (which is the same as the new EK Success design)... easier to store, as they clip flat for storage and take up less space. Thanks for reading... and have a great Easter! Friday again! The week has passed so quickly. Erin has started crawling properly, so every minute is spent watching her like a hawk to make sure she doesn't venture somewhere she shouldn't! This is a quick card I made to use as a wedding RSVP. 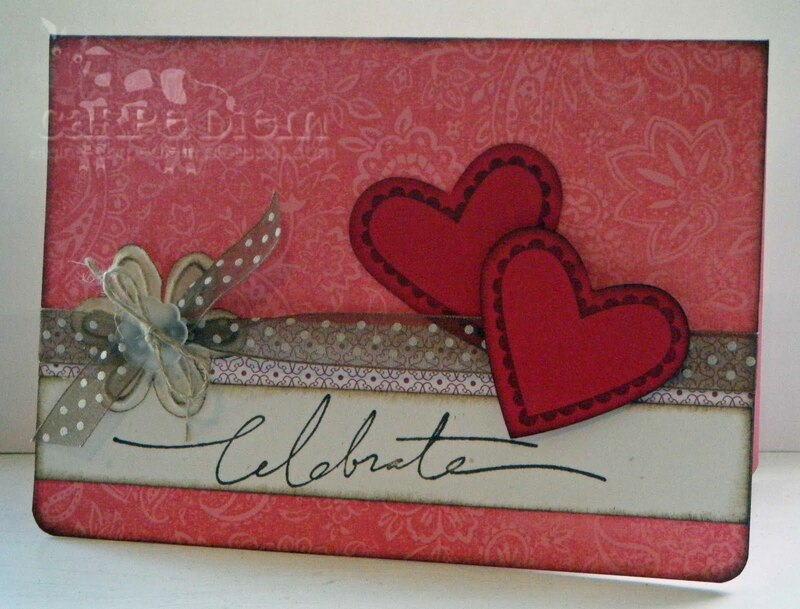 The background was stamped with the Paisley background stamp, the "celebrate" sentiment is from the Wonderful Words stamp set and the stamped hearts are from a new stamp set called Framed With Love (contained in the new mini catalogue due to launch on 1st April; please contact me by email by clicking here if you would like a copy). I've also used the new March promotion heart punch. The ribbon, vellum flower button and paper flower were random scraps found on my desk... yes, I'm still cleaning (but I'm getting there!). A baby card made for my cousin, who had a wee boy (well... a 7lbs 13oz "wee" boy, so not really "wee" in the true sense) a few days ago. 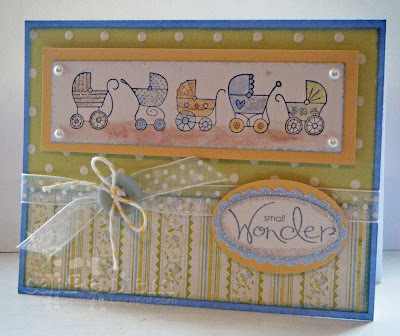 I've used the pram stamp from the Queue Up (level 3 hostess) stamp set and the sentiment is from the SAB set which was available free during January and February. In summary: you can't actually buy any of these stamps... but never mind! The ribbon and patterned papers were scraps found on my desk. I've cleared a good bit of my desk (at last!) and I'm working on the remainder... and I'm trying to use up some of my old scraps. The cardstock colours are So Saffron and Ballet Blue. Many thanks for visiting my Stampin' Up! blog. I am an independent Stampin' Up! UK demonstrator based in Scotland. I was one of the first demonstrators in the UK, having joined in November 2007 when Stampin' Up! launched in the UK. If you would like to purchase Stampin' Up! products within the UK or otherwise contact me, I'd be happy to hear from you; please drop me an email by clicking here. 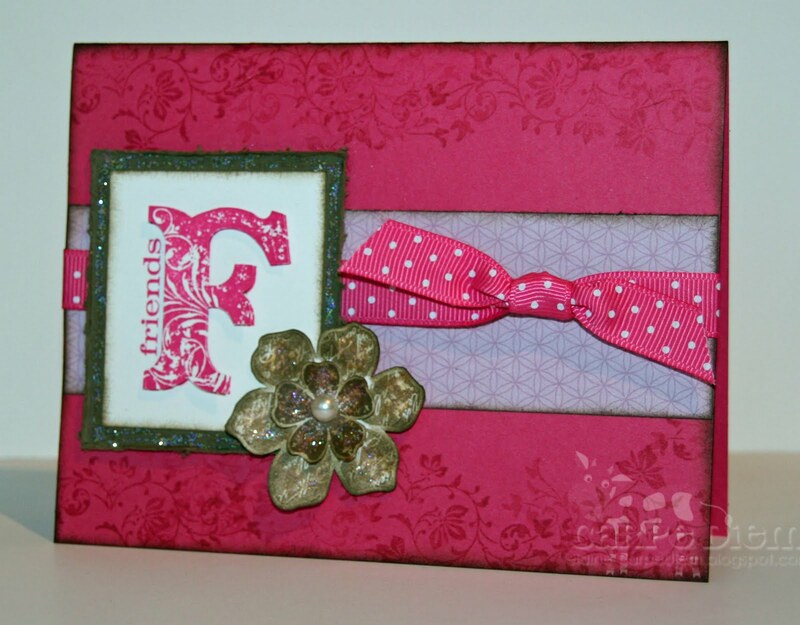 Likewise, if you would like to host a workshop, attend classes or become a UK Stampin' Up! demonstrator, please get in touch. I am offering a free stamp set for anyone who joins my downline as a new Stampin' Up! demonstrator; please contact me for more information. A fantastic new Stampin' Up! annual catalogue was launched on 1st October 2009. 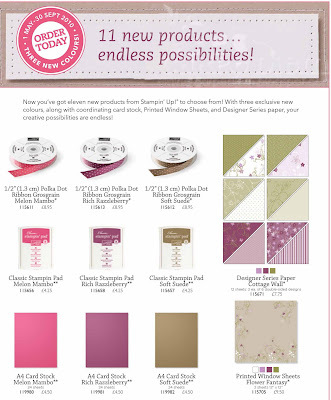 In addition, a new mini catalogue (effective 1st April - 30th September 2010) has been launched... it contains lots of fabulous new products! Please contact me (by clicking here) if you would like a copy of either catalogue. Click on the image above to view the current annual catalogue online. Click on the image above to view the new mini catalogue online. If you live in the Renfrewshire or Glasgow areas and would like to attend classes (or if you live elsewhere but are willing to travel! ), please contact me for more information by clicking here. Classes can be tailored to your requirements/interests. 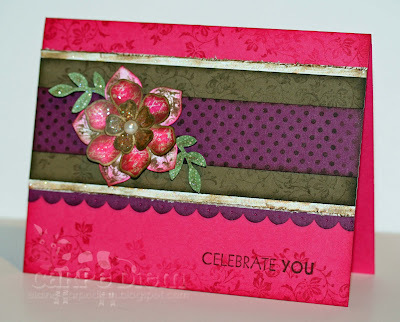 Click here to view my project gallery and see photos of my cards on the In Love With Stamping (UK Stampin' Up!-themed) web-site. Please note: this site is intended for personal inspiration only. The copyright in my creative work, the photographs and the text displayed on this site is reserved to me. The copyright in all Stampin' Up! 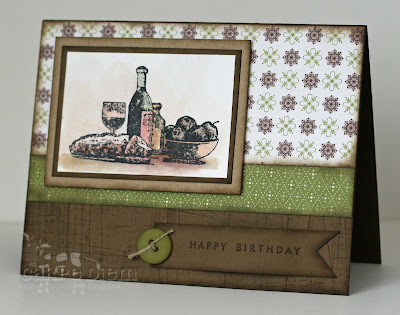 images is reserved to Stampin' Up! and may not be reproduced except in accordance with the company's angel policy. The photographic images shown on this site may not be used nor reproduced in any format without my prior written consent. In addition, my papercraft designs may not be copied for publication, competition and/or public display. Thank you for understanding! If you have any queries, please contact me.